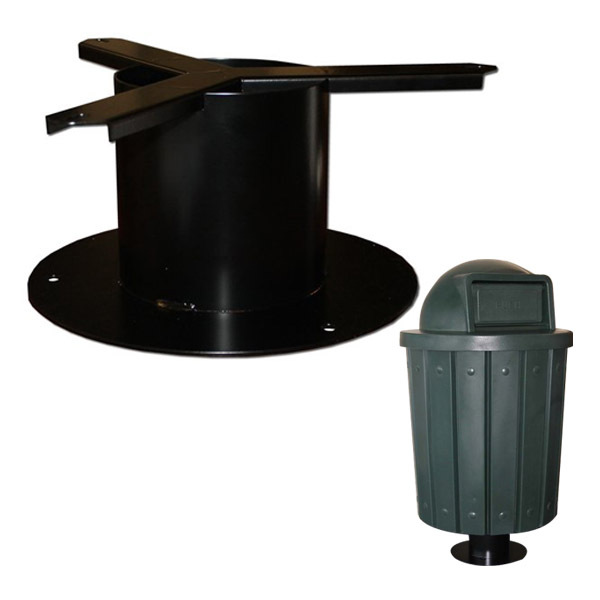 This 42 gallon commercial plastic receptacle can be used for trash or recycling. The flat lid is perfect for bottles and cans, great for keeping trash out of recycling. Our commercial grade plastic receptacles are made in the USA and safe to use with no splintering or peeling. Give us a call to get quantity discounts.